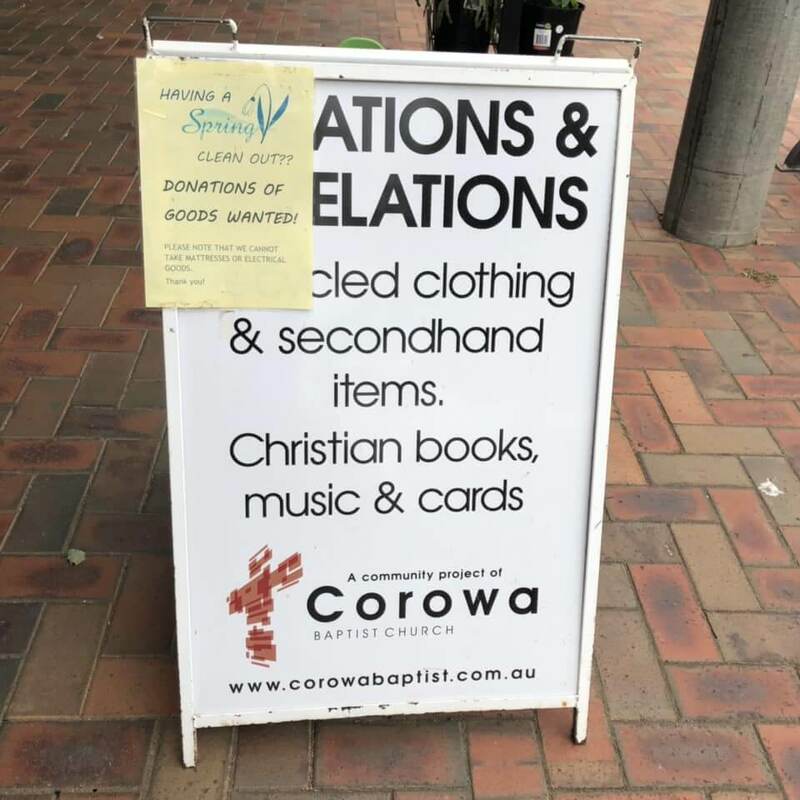 Corowa Baptist Op Shop is also known as Creations and Revelations. Creations and Revelations is located in the main street of Corowa (94 Sanger St Corowa). The shop offers a large range of reasonably priced secondhand clothing, furniture and bric-a-brac items such as kitchenware, linen, CDs and books. The shop also has a range of Christian cards. Opening Hours: 10am-4pm Monday – Friday & 10am-12pm Saturdays All proceeds from the shop go towards overseas and local missions. Such as Baptist World Aid, Watoto, Worldshare and Compassion. It also organises and runs the annual Corowa Community Garage Sale run every March. Donations of unwanted saleable goods are always welcome at the shop – clothing & accessories, books, linen, kitchen items, bric-a-brac, & furniture. More info can be found on their website here.